Cannoli Cream Sandwich Cookies with Pistachios and Cherries are delicious, pretty, and perfect for the holidays. They're also delicate. So, when I deliver these sweet treats to friends, I pack them in Rubbermaid TakeAlongs: they protect the cookies and provide an easy, festive package. That simple package is perfect when my son and go "Elfing." Have you ever heard of it? I never did, growing up in New York City; now that we're living in the 'burbs I've been introduced to this fun tradition. Basically, you go to your friends' and neighbors' homes and secretly drop off treats on their doorsteps. It's a nice way to share the holiday with the people around you. I got this printable sign here, isn't it cute? Elfing is such a nice way to celebrate the season of giving. It's not about spending a lot of money; it's about making friends feel special. That's why I think homemade treats for Elfing are especially meaningful: they reflect the time and energy you put into the package. My Cannoli Cream Sandwich Cookies with Pistachios and Cherries feature two of my family's favorite traditional recipes: my cannoli cream and pizzelle cookies. These sandwich cookies have unique seasonal touches—like white, red, and green ingredients inspired by Christmas—that make them a special holiday gift. And, of course, it's great fun for my son to take our family's own traditions to go, when we secretly deliver to his friends' houses! My son, ready to do his Elfing duties! These cookies are super easy, especially if you use store-bought ricotta and pizzelle cookies (these are Italian waffle cookies and can be found in Italian specialty stores or in many supermarkets, near the bakery section). Place the ricotta, cream cheese, sugar, vanilla, and lemon zest in a food processor or blender. Process for two to four minutes until thick and smooth. Fold in the pistachios and cherries. Place a pizzelle on a plate or board. Spoon a heaping tablespoon of the cannoli cream mixture onto the cookie and spread it almost to the edges. Top with another cookie, then dust with powdered sugar. Keep assembling this way until all your Cannoli Cream Sandwich Cookies are done. Then stack them in your sturdy Rubbermaid TakeAlongs and get ready to deliver to your buddies. Pizzelles are very thin, buttery, and delicate. When you first make these sandwiches, the cookies will be crisp. If they sit for a while, sandwiched around the cannoli cream, the cookies will soften and become cakey. Either way, they taste yummy. Now, I'm not a crafty gal. Luckily, the Rubbermaid TakeAlongs are available in festive red, green, or holiday prints, so you can share the holiday in style. I just used a rectangular container, tied with a simple white ribbon and decorated with a snowflake (to match my "snowflake" pizzelle cookies). It looks so snazzy, right? I found my Rubbermaid TakeAlongs in the Housewares section at Walmart, right in the food storage aisle. A variety of sizes, shapes, and colors are available—there's even a deviled egg tray! Don't miss the special Ibotta rebate now for Walmart shoppers: you'll get $1 off of any two Rubbermaid TakeAlongs. That rebate makes this a great time to stock up for your own Elfing adventures, so you can take your family's favorite recipes and traditions to go. 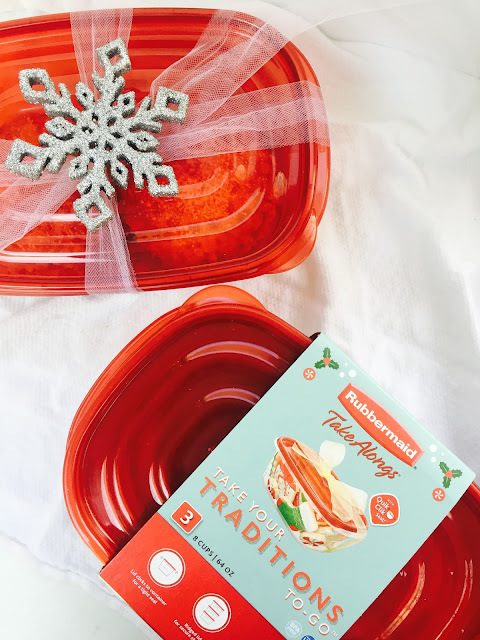 Make sure you check out all the cool holiday styles of Rubbermaid TakeAlongs for fun and easy packaging. How will you share the holiday with your friends and neighbors? I have never heard of elfing. But that is such a nice idea. The recipe sounds delicious. These cannoli cream cookies sound AWESOME! I could eat that whole Rubbermaid container full! And, speaking of which, I was just saying that I need some new larger containers like this. So, thanks for the heads up on them! They're great, so sturdy and they look good, too! Love the crunch, the flavors, the look! These cookies are absolutely fantastic! 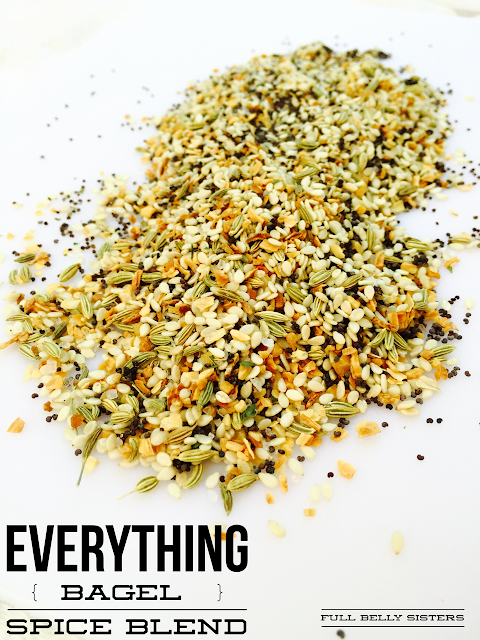 What a brilliant idea for holiday baking :) So love these flavors together! I love giving food during the holidays. These cannoli cream cookies look extra special! This cannoli treat looks perfect for the holidays or any time, and perfect for a holiday gift; thanks so much for the beautiful inspiration! Anything to do w/ pizzelles reminds me of growing up. My grandmother would make hundreds of them! Love this twist. I hadn't heard of Elfing before but I love this fabulous idea! I have lots of Rubbermaid products to pack the cookies in.Your cannoli cookies look awesome and I would like to give them a try. These sound amazing and look so elegant. I may have to try them for Christmas. I have not heard of Elfing but it sounds like a great holiday tradition. Love these! super fun idea! I had never heard of "Elfing" but I LOVE the idea! Your cookies look delicious...and I'm a big Rubbermaid fan! I have the same Rubbermaid containers and absolutely love them as they are much sturdier than others "out there." And your cookies are gorgeous! What a wonderful holiday treat! Oh yum! I remember having the BEST cannolis in Rome and I just love pistachios. Such adorable cookies, and those containers are fantastic!! These cannoli sandwich cookies looks delicious and anyone who receives these cookies will definitely feel extra special. What a delicious idea for a gift this holiday season! I love giving homemade goodies as gifts and I love these rubbermaid TakeAlongs! So festive yet inexpensive! I love this idea! Those festive rubbermaid take a longs make a perfect gift filled with your delicious Christmas cookies! These cookies are beautiful...so festive. I love anything cannoli, these look amazing! LOVE the idea of elfing and your treat to go along with is perfect, yum, yum, yum! And with everything packaged up in such a great container, it's a perfect gift!